Los Angeles Mayor Eric Garcetti says he "expected something stronger" from his police chief in disciplining eight Los Angeles police officers in the shooting of two women a year ago in Torrance. While the shooting was determined to be in "violation of policy," Police Chief Charlie Beck has indicated the officers will be returning to street patrols and will be subject to additional training. On NBC4's "News Conference" program Sunday morning, Garcetti said he disagreed with the decision. "I think I would have respectfully said it should have been something a little more harsh...we don't want to get rid of police officers who have a good career but we do need to make sure this isn't repeated again," Garcetti said. 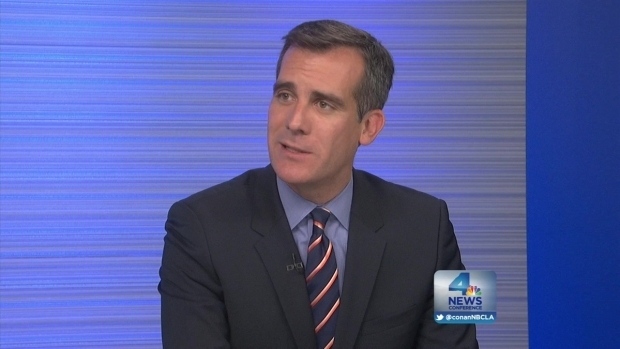 NBC4's Conan Nolan talks with L.A. Mayor Garcetti about the recent criticism of the mayor's first seven months in office. The victims, a mother and her daughter, were shot while delivering newspapers in the early morning hours of February 7, 2013. Officers believed their target was former LAPD officer Christopher Dorner, who murdered three people during a four day crime spree in Southern California. Despite the disagreement over disciplining the officers, Garcetti voiced support for Beck. "My managers I trust and they are going to make different decisions at different points... he's been a super Chief," Garcetti said. 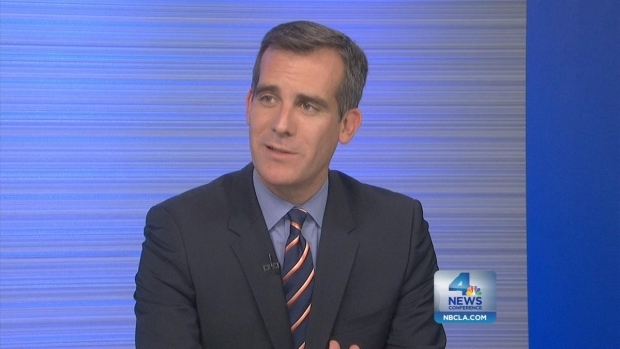 NBC4's Conan Nolan talks with Los Angeles Mayor Eric Garcetti on why the city needs a high tech czar. On other issues Garcetti defended his efforts at getting rid of the city's business tax, saying it will make the city more competitive in attracting new employers. "I've never seen much of a difference between marijuana and alcohol... alcohol has rules around it," Garcetti said. "If we had something similar with marijuana it would probably be a good revenue generator."